This is the ultimate list of best Google Adsense alternatives to monetize your blog and website in 2019. If your Google Adsense account has been banned and you are looking for the best alternative to make money with your blog, you will love this guide. Media.net is one of the best google AdSense alternatives, powered by Yahoo! And Bing. It offers completely customized (match the look and feel of your blog) and high paying contextual ads. I tried several ads network but if I talk about ads quality, I think Media.net is the only one which maintain ads quality after AdSense, that’s why it is my favorite ads network. It only approves high quality blog so if you are getting good traffic daily (especially from countries like US, UK, Canada and Australia) then you can apply now. Even its review process is faster as compared to Google Adsense, here you need to wait only up to 2 business days to know status of your blog (whether it gets approved or declined). Furthermore, it is one of the largest marketplaces for advertisers to maximize their brand exposure. Hence, there is higher chances to get highly relevant ads on your blog and earn good amount of money. Payout threshold is $100 and payment is done monthly. Payment options are Wire Transfer and PayPal. Amazon Bounty Program is my all-time favorite Google Adsense alternative to monetize my blogs traffic by promoting relevant bounties. It is different in terms of paying as compared to Adsense. Here you earn a fixed commission per referral. For example you are promoting Prime Pantry, you will get $3 when someone register for 30 – day Prime Pantry Free Trial. Commission varies bounty to bounty. All bounties are listed with a detailed description about bounty, commission fee, start date, end date, type, categories, banners and bounty affiliate links. To get full benefit of Amazon Bounty program, first you need to understand your audience interest and then pick bounty to promote at your blog. For ex, If You blog about shopping, Amazon Prime & Shop Amazon – Create an Amazon Baby Registry both are perfect bounties to promote and earn money. Here is how to start with Amazon Bounty Program. 1). Join Amazon Associates following below links. 2). Go to Promotions Section and Click on Amazon Bounty Program. Here you will see a list of available bounties. If you don’t see then click on see all bounties option/button. 3). Now explore the list and pick one which is relevant to your audience (put yourself at the place of your audience and then think why you will join or is it best bounty which you would like to give a try?). 4). Once you have decided which bounty you want to promote, generate your affiliate link by clicking on get link button. 5). Now, Time to recommend in bounty in revenant blog posts and earn commission. Why my payment is not showing under Payment History? It will start showing after two months. Means your March payment will appear in late May. You will get paid after 60 days approximately. Direct Deposit, Amazon.com gift Card, Pay me by Check. Direct Deposit is one of the best method. If you are from India, and a member of Amazon US Associate, then you can use Payoneer to get your payment within 2 – 3 days. If you have any doubt, you can drop a comment or email me. I will happy to help you. Can an Indian promote Amazon Associates US? Yes, you can. I am also from India and promoting Amazon Associates US. But ensure your blog is getting traffic from US to make a good money. Chitika offers relevant & similar ads like Google Adsense but CPC is low. It gives you full control over ads. Yes, you can customize ads per your requirements to maximize your revenue. It also has a Local Ad Exchange which helps to display local ads on the basis of visitor location. Chitika ads are search targeted ads means ads are shown users who land at your website from search engines like Google, Bing etc. Furthermore, you can use Chitika with Google adsense also. Yes, you can display both ads network on your blog. But don’t full packed your blog with ads, since no one like to visit a full packed ads blog or website again. You can apply for Chitika publisher account no matter how much traffic your blog has and how old it is. Payment threshold is low and vary according to payment options. In case of PayPal, minimum payout is $10, for Check, it is $50 and for WireTransfer, it is $10,000/month. VigLink works in different way as compared to other ads network. It converts external links into affiliate links means if someone buy using your outgoing links, you get paid. Or I must say here you get paid as per affiliate sale not per click. If you write about products (mobiles, apps, software and more) and you think your content has buyer persona, you should give a try to VigLink. Even it doesn’t affect your affiliate links. It saves your hell lot of time. You don’t need to sign up for many affiliate programs individually. It does all for you by converting your outgoing links into affiliate links. Viglink takes 25% commission and you get 75% into your account. Yes, you can use it with AdSense (comply Adsense policy) and other networks. It is easy to setup and doesn’t affect SEO. In fact, it provides you full control in term of linking means how it will happen. There is no minimum traffic requirement. Apply now and start monetizing your outgoing links. Infolinks is a popular in text advertisement network. It offers you 4 types of ad units including Inframe, Infold, Intag and Intext. Intext ad unit is most preferred by bloggers since it doesn’t take any extra space on your blog. In other words, it highlights your few keywords in your blog post and displays a highly targeted & relevant ads when someone hover mouse cursor on them. And Every time when someone clicks on these ads, you get paid. Approval is fast, there is no declined and minimum page views & visitors requirements unlike other Google Adsense alternatives. It is easy to setup and gives you full control when comes to ads customization and choosing ad unit. You can choose color according to your blog theme to increase your revenue and keep it professional. You can give a try to all ad units and see what works best for you. It provides 70% revenue share to publishers. Payment threshold is $50 and Payment options are PayPal, Wire, Western Union, Payoneer, ACH, and eCheck. Payment is made after 45 day. BuySellAds is one of the best buy-sell marketplaces for bloggers to earn money by selling ad space on their blogs. Apart from banner ads, it provides text ads, RSS ads, Text image ads and Tweet ads (works similar as Sponsored Tweets). It can be proved a highest paying advertising network if your blog is get approved. To get approval, your blog should be well designed, receive 100k impression monthly. You get response from them within 4 -5 business days. It supports only English language, if you write content in other language, move to next google adsense alternative. BuySellAds shares the revenue in the 3:1 ratio with you having 75% means if you sold a banner for $100, you will get $75 and BuySellAds keep $25. You have complete control to set banner price, accept/reject advertiser offers. Once you accept banner will start showing at your website. I will advise you to accept only relevant offers. I mean if you write about gaming then only accept banner related to games. And ensure they are not spammy. Skimlinks is one of the best Google Adsense alternatives to monetize commerce content effortlessly. It works same as Viglink do. Yes, it doesn’t occupy any additional space on your blog. It turns your non monetized outbound links into affiliate links. When someone buy any goods or products using these affiliate links, you get paid every time. It keeps 25% of your commission. Thing which make it different from Viglink is that here you don’t need to apply individually for merchants. Once you get approval by Skimlinks, you get access 20,000 merchants which is really huge in itself. Skimlinks is good for new blogs since top affiliate networks don’t approve your account easily when you have less traffic and authority. It is easy to use and WordPress friendly (offers WordPress plugin). If you have a blog which has buyer potential then you must give a try to Skimlinks. It can help you triple your earning. If you ask me which one to choose from Viglink and Skimlinks, I will say give a try to both one by one and see which works best for you. PropellerAds is an oldest and trusted CPM network. CPM network means it pays you for every 1000 views. It offers four types ad formats Push Notifications, Onclick Ads, Native Ads and Native interstitials. You can give a try to all one by one and analyze which ad format works best for your blog. It keeps 20% of publisher’s revenue and provide 80% to them. Although, It is not similar to Google AdSense (CPC Network pays for every click) but defiantly a good alternative to monetize your traffic. I will advise you not to use Propeller Ad network for all niches blogs since it displays adult ads also (reported by some users at various forums and blogs). If you have blogs related to music, file sharing, torrents, game, download and viral contents, give a try to this. You will definitely get high CPM rates as compared to other niche. Best thing about Propeller Ads is that you can use this with Google AdSense also. Amazon Native Shopping Ads are totally different from Google Adsense Ads. They works similar as affiliate links do means here you earn money while a sale occurs not per click on ads. In this case, you get 4% – 8% commission which vary product to product. It offers 3 ad formats which are recommended ads, search ads and custom ads. Best thing is that it displays relevant ads (products) on every page by scanning content of the post. It is easy to implement. You can embed the code with the help of WordPress plugin Ad inserter or Ad injection. If you have a blog where you write about products/goods which are available at Amazon and getting traffic from U.S.A, then you defiantly give a try to Amazon Native Shopping Ads once. It can be proved one of best google AdSense alternatives for you. In fact, Amazon native shopping ads are compatible with Google Adsense ads. Taboola is one of the best content recommendation network (recommend sponsored content from advertiser site) and a true Google Adsense alternative for blogs related to viral content, news and gossip etc. It also works on a CPC model, yes you get paid per click. To get started with Taboola, a blog should receive 500,000 monthly page views. Top publishers of Taboola are NY Times, USA Today, Forbes and NBC Sports etc. It is easy to implement and best paying Taboola widget is right below blog post/article. In fact, Taboola optimization experts are here to help you to figure out best paying widget locations. If you have any doubt, you can check Publisher FAQ section. These were the perfect and best Google Adsense Alternatives for your blog. I have written the top Google AdSense alternatives to monetize your site. Though there are many more advertisement option and blog monetization methods like selling reviews and affiliate marketing, here these Google Adsense Alternatives are the best for people looking for monetization programs other than AdSense. Which are best Google Adsense Alternatives according to you? Don’t forget to share your experience with best alternatives to google adsense in comments. « Social Noor Review: Is it best Social Media Marketing Agency? First of all i wanna say that, your template is nice. All newbie bloggers are thinking that, google adsense is the only way to earn money while blogging. You break that rule, here you gave most of the reputed adsense alternatives to earn money. This will be surely helpful for newbie bloggers. Anyway thanks for share. Some bloggers are not aware of other networks and monetization source. One who has traffic, can earn passive income without AdSense also. Jyoti ..i visit here from Fb..I am using adsense on many blogs and i already use many more ads like Chitika, Infolink, Bidvertiser,but not get good earning…can you tell me better from these..Thanks to Publish this list…. If you are not happy with Adsense, then you should give a try to Affiliate marketing or you should focus to increase your blog traffic. Since Adsense pay good money if you have US traffic. To be honest there is no better alternative to Google Adsense, because no one in the industry can pay that much. However in terms of alternatives yes these are the best highest paying. My personal favorite are Infolinks and Kontera. There are many people whose primary income source is adsense but it feel them very bad when they get disabled or not get approval from adsense. But as you share there are many alternatives to Google Adsense in the market and we can use them and earn a lot. I think we can use them along with Google adsense. Please correct me if I am wrong. Excellent post on Google Adsense alternatives. Truly speaking there are hundreds of ways to make money online nowadays. So even if someone is banned from AdSense, it shouldn’t really matter much. According to me; people should understand that AdSense is not the only way to earn online. But there are lots of other creative ways to generate income. Speaking of myself, i have never liked AdSense and never used them on my blog till now. I am more into affiliate marketing and i believe that this is more powerful than Google Adsense and has the potential to even change your life. But with AdSense, that’s a far cry without huge number of targeted visitors. By the way, your article will definitely help anyone looking for alternative options. You have a wonderful day, Jyoti. Keep up the good work. Google Adsense has always been a favorite among bloggers. However, there are now a lot of alternatives in the market. One of the reasons most bloggers are also choosing other alternatives is because of their strict terms and conditions. Once you get banned from Google Adsense, it’s for life. The other alternatives also provide alternative sources of income. Sometimes, bloggers use multiple ad networks to monetize their site. It helps in bringing in some extra money. Thanks for sharing these great alternatives. Excellent article. I use Adsense now and I was not familiar with very many of the alternatives you mentioned. Chitika I have seen a lot and I have used Bidvertiser not for ads on my site but by promoting products in their system. I have mixed feeling about text or info links. Some of the site that obviously have them seem to be so spammy with many words linked to an ad. I don’t know if one has any control about how many links can be added to a post but there should be a limit if you don’t want to annoy your readers. Thank you for this golden nugget. I am glad you found something interesting here, keep visiting! Most bloggers in my opinion, are too much dependent on Google Adsense. Some of them believe that it’s the only way to make money online. In fact, the opposite is true. There are hundreds of ways to make money online. In most cases, the other sources can get you more money than others. However, some of the bloggers actually avoid using Google Adsense because they have a lot of rules. If you get banned once, you are banned for life. Thumbs up for the amazing blog. Sorry if it seem weird to ask but as I am new to blogging, can I place ads from two different companies/sites on a single page??? If yes then is there any plugin for the purpose for wordpress??? Don’t say sorry, It ‘s my pleasure to help newbie. Yes, you can place ads from two different companies if you have both approved account. You can use Quickadsense plugin to insert ads between post. If you have any other problem, feel free to ask anytime. I am here to help. Thanks for all your support Jyoti, will stay in touch. And I must say that your site is pretty much helpful for the newbies like me. Keep up the good work. I have only one word to say, WoW. I read the article and it create a hope in mind to get approved my adsense from google. what a awesome article to get a lot of traffic, But link building via posting on forums can be very time consuming and tedious, thank you for sharing. I have a lot of work you will find a lovely support.This post is very inspiring me. I always take your advices very seriously, keep posted. Excellent post on Google Adsense alternatives. Truly speaking there are hundreds of ways to make money online nowadays . Great article. It’s the first time that I have landed on your website, and I am quite liking it. Few of the above-mentioned alternatives I already new but few are new to me. Everyone’s prime goal is to get the approval of Google Adsense. But, when we don’t get approved by Adsense, we definitely look for alternative ways. And the search of those ways ends here. You have written a splendid post about Google adsense alternatives. It will surely help many people. What a wonderful list, nice post with detailed list for newbie bloggers finding it difficult to monetize their blog. a wonderful list of AdSense alternatives. I am an AdSense publisher but I love info links as an alternative to it. Infolinks is good and I have good experience with it. P.S. I updated the design of my blog TutorialsFist[dot]com, please do have a look and share a short feedback! First of all, thanks for the list of Google alternatives and I use some of them on my blogs and because of your post, I get a chance to know some more options. Keep update us with this kind of information. I was kicked out by AdSense and thought it’s the end of blogging thanks once more can’t wait to find one from the top you listed.. Excellent post Jyoti and according to my experience Chitika, Banner ads,text link ads, and brand promotions are the best google adsence alternative. Between I became regular reader of your blog and keep writing great posts. It’s creative & best list of adsense alternative sites. Some of the few sites are have already used, but now much CPC. Also i didn’t seen some new site’s from here. I will keep try with them now. Many of the bloggers will gain a lot of information from this blog too. Useful post. I’m using couple of them in addition to Google Adsense. But one thing, I don’t see any other network earning as much as Adsense. Though they are the other sources,but I don’t think they can stand as alternative. Your’re right. It’s sad that many people don’t know Viglink when it is also the passive income source. It is very useful post for newbie bloggers. As it is a very essential to choose best ad network for quality earnings. You’ve shown many of them as a best one. According to me one should must use Buysellads as an alternative to Google adsense. As an experienced user, I’ve seen that Buysellads is good ad source for CPM ads. Welcome to UpdateLand, I am happy you shared your experience with Buysellads. Yes, it is best google adsense alternatives for many who have massive traffic at their websites. WOW! this is really awesome collection of google adsense alternatives because i saw today many new methods of money marking from alternatives so here you have included new sites those are providing publishers to make money online without adsense. I am happy you will found this alternative of google adsense list for yourself. There are several bloggers who are making very good income with Adsense but not all are lucky, I hope people who lost their account, will found these google adsense alternatives best for them. I have not any Hindi blog so I can’t recommend anyone to you, you need to give a try to every google Adsense alternative and check the result. Do experiments and find out what is working best for Hindi blogs. And give me update also. I would like to add. Maybe they will found that stuff useful. Nice collection of amazing alternatives of Google AdSense. So Another useful post from UpdateLand. Thanks to sharing this great post. Surely going to help many newbie bloggers looking for best AdSense alternatives. I am glad you found this best adsense alternative list amazing. I hope you will found some good ads network for your website also. These are awesome collection of Google Adsense alternatives. I compiled a list of best google alternatives to Adsense. So that, bloggers who lost their Adsense account, can earn good money with other high paying ads network. Keep visiting and learning with UpdateLand. Well no one better than Google Adsense but they have some issues like account banned or cut off money for invalid clicks etc.So it is better to use some alternatives. I think Kajamba is a good option to try out. They have many flexible options. Thank you for letting me know about some great Adsense alternatives. These are great Adsense alternatives. i think so right popular List For Google Adsense Alternatives.many alternatives and other network earning as much as Adsense.Thanks for sharing awesome post…………..
A very informative and useful article. This is really very helpful for the bloggers who want an google ad-sense alternative to make money. Google Adsense is a good earning for bloggers. But sometime we hear from some bloggers that Google Adsense is not working for them and they do not earn money from their blogs. I think earning from Google Adsense is not easy. A blog needs enormous traffic, then the blog owner can earn from it. I prefer Sponsored Review or Paid Post to earn from my blogs and it works for me. But the main point is that blog needs more and more traffic then the blog owners earn money from their blogs. Here you have discussed some best Earning platforms from blog. Thanks so much sharing this article. Yeah! all the alternatives are good, but still Google Adsense is better from all of these as per my own view. However, you have done really a good job by putting all the good source here. First of all thank you very much for sharing this valuable information. I am Sachin Dhiman and I am new in blogging. I am facing some problems related to traffic. I wants to increase targeted traffic to my blog but unsuccessful. Plz help me. This is really a very helpful article. Thank you for providing google alternatives to make money. I will definitely try one of these. Google Adsense has been and will remain a very good earning platform for bloggers. However, so many challenges here and there ranging from inability of bloggers to secure signup to having their accounts banned has made Adsense difficult for so many bloggers till date. 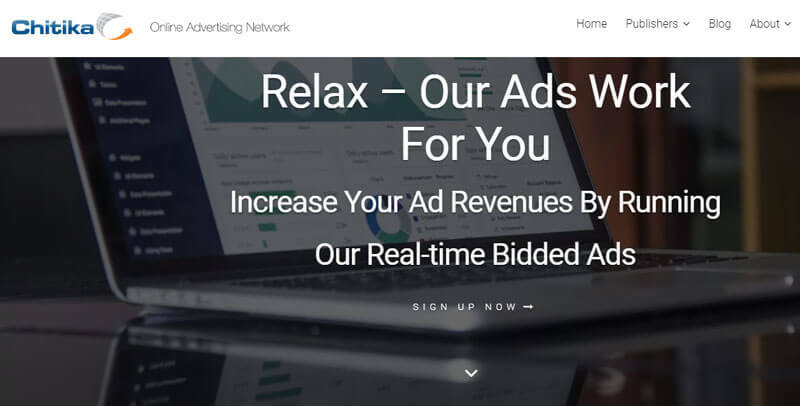 With these and many other factors, some other ads networks are coming up to take advantage of Adsense strict nature, and bloggers on their part are in serious need of alternatives. Therefore, any Adsense alternative is a welcome for every blogger and you have just helped out here. Thanks for the theme purchase! I come to know many Adsense alternatives and interesting facts regarding them. Thanks for Share. Hello… This article is very helpful for me. I am searching for some ad network except Google Adsense. I get a Detailed list of all the networks by this article. Now I can apply some of the ways to monetize from my Blog. Thank you. If we are talking about Google Adsense alternative then Infolink is the best option which comes to my mind. Chitika is not that much good comparing to Infolinks but still one can try and find out. I have been using ad sense for my entertainment blogs ad I have to say it costs me a lot, Thank you for these alternatives, now I can do it in a cheaper way. All are really cool and awesome. I prefer InfoLinks as the best Google Adsense alternative. I prefer Kajamba and InfoLinks most out of the list you provide here. Feeling good to see them on the list. Anyway, it’s a nice list. Thanks. I just landed on it through google, and i can say it is really an informative list. I am using revenue hits and infolinks for my blogs. However, WE CAN’T REPLACE ADSENSE. Thanks jyoti for the Adsense Alternatives. but i think adsense is the best. other won’t pay you like adsense. if your playing safe you dont have to take any tension of banning by Google. InfoLinks is really a good option. I will prefer it as an alternative to Google adsense. Others like Kajamba is also nice. This is Musa Mohinuddin, a newbie in Tech blogging. I have also applied for Google Adsense 4 times. Till now my Adsense is not approved and feeling that it will never get approved. So in a mood to shift for Adsense alternatives. Can you Please help me in selecting an adsense alternative where I can select ads related to Tech industry. Your site is really benefiting me a lot. In the comments I observed that some say InfoLinks is useless, but some say it is best alternative, while some say Chitika etc. So totally confused to decide one. Please help me. Frankly speaking, I am looking for adsense and finally, I found your article which help me a lot. you wrote the very excellent article no doubt But dear I have a little bit confusion about payment method. So many time google adsense deduct money, i don’t know why but it happend with me. Can you please explain why it happend. I am glad to read your helpful post. Adsense is very important for running sites but google adsense create some problem some time like charges excess money and many more. Thanks for sharing the post which help me a lot. if you have a low amount of traffic or you are not getting approval from adsense, then the best way to monatize your blog is the method and network mentioned above. I have used Google Adsense & Media ads till now. You have added some other best alternatives for bloggers to monetize their website. Most of the bloggers rely on Adsense, butI prefer Media.net & Infolinks. Thanks!! I think kontera is good. I need some time adsense alternatives. So i am think to use kontera ads. Thank you so much Jyoti Chauhan for sharing such great knowledge of yours to your visitors. But Tell me one thing, What should be the minimum age of Domain to get more visitors on Website ? Even i am doing best Seo of my Articles with Rich Content but still didn’t get any Organic Visitor on my Website. why ? What should be the minimum age of Domain to get more visitors on Website ? Even i am doing best Seo of my Articles with Rich Content but still didn’t get any Organic Visitor on my Website. why ? Traffic doesn’t depend on the domain age. Create high-quality backlinks for your domain and blog post, optimize your blog posts and keep updating your old blog post also. All things will help to increase your blog traffic. Jyoti, great post. But I have a question for you. Can we use multiple or two contextual ads network on the same website? For example, can I use media.net and Google Adsense on 1 website? Overall this article is quite helpful for someone who is not able to get approval for Google Adsense. Afterall, Google Adsense is not the end of the world. Rupesh, some ads networks are compatible with Google Adsense and some not. Very nicely explained. A few days back I was using Infolinks. BuyShellAds do not approve, every time I applied, they rejected. Can you provide some tips, so that they will approve it? Bijay, BuyShellAds approves only high traffic blogs. Does your blog gets good organic traffic daily? This list is good but every other alternative of Google Adsense except Media.net gives low CPC. So earning will be less compared to Adsense. Anyway, good article.